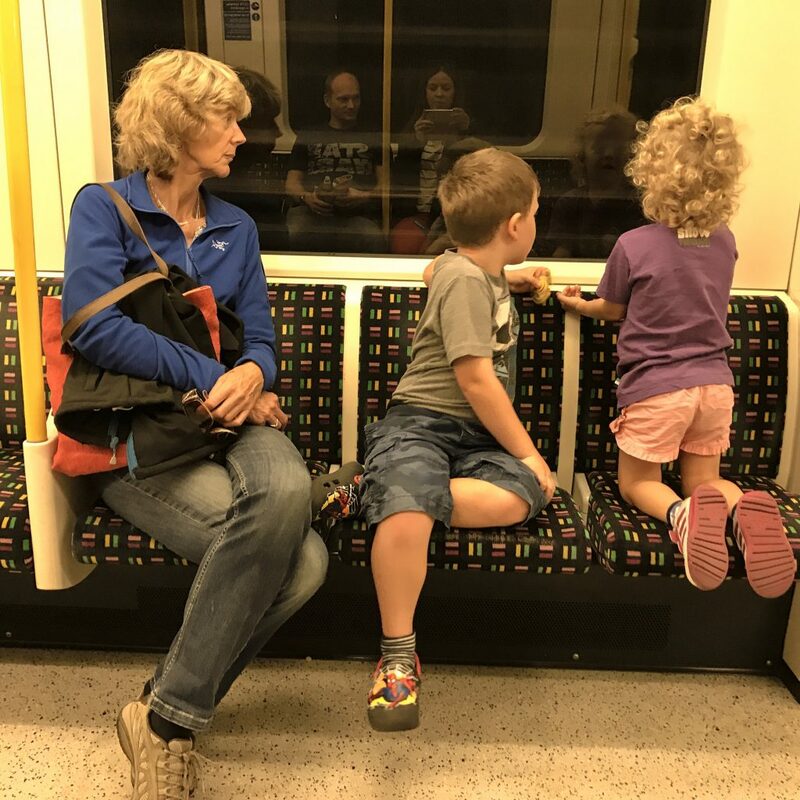 I had a bit of a dilemma this week thinking about the monthly link-up that I try to participate in with Adventures of a London Kiwi, SilverSpoon London and Follow Your Sunshine (guest hosted this month by Tanja at The Red Phone Box Travels). The topic is “once in a lifetime experiences” and it really got me thinking. What makes a trip the trip of a lifetime? I thought about the amazing travels that I have done in my lifetime. Would the year in Australia count as 1 trip? How about my gap year in South America? Maybe I needed to consider what is more traditionally a “trip”. Our honeymoon in South Africa and Mozambique? Our trip to Borneo where we got engaged? Or the time we saw the Taj Mahal in India? What about trips with the Things? Our trip to Bali was life-changing, but was it the trip of a lifetime? The Maldives is definitely a destination that has to be up there in trip of a lifetime categories. But we’ve been twice (I know, we are so spoilt) so not sure I can count that either. Our adventures in Italy last summer were absolutely incredible. I mean when do you get to go to Rome, the Amalfi Coast, Lake Como and Sicily all in one holiday? For some, that might be the trip of a lifetime and for us it was definitely one of our most memorable ever trips. Others go to Italy every year so it’s not a trip of a lifetime for them…. I decided to think about it from another perspective. How about the first time we flew with the Things? The first holiday we all had together? The first time they had ice-cream? Have I got ice-cream on my face? What about the first time they went to my home town? How about the times Mr Wanderlust and I took each other home for that matter? Or the time when Thing 2 learnt to walk on holiday? Who else can say they learnt to walk in the Maldives?! The first time we went on holiday with Granny Wanderlust? Or the time we took Thing 1 saw snow with the Mr Wanderlust’s family? On the days I skied I had to meet people with Thing 1 to feed him! Undeniably all of these were holidays of a lifetime too! In the interests of balance, what about the time we took the Things to India and two thirds of the way through I asked Mr Wanderlust to find out how much it would cost us to just go home the next day. India of itself was pretty once in a lifetime. I hope, I HOPE, that the desire to bail out early (which has never happened before) was once in a lifetime. I’m so glad we stuck it out in the end. Family photo in India – you’d never know how tired I was here! I don’t care where we are going or what we are doing or even who we are doing it with. The trips we are taking now are trips that are all once in a lifetime experiences for us and for our Things. We are creating memories (not just their memories, ours too! ), bonding over travel, experiencing new things together. DOesn’t matter what country you are in, sandcastle building is a MUST! It doesn’t have to be fancy or expensive – our Things are as excited about going camping with us in the desert as they are about a swanky hotel. If I’m honest they’re probably more excited about that than about the swanky hotel. Because the thing is, the experiences we will share make each trip so unique and memorable. Every trip is an opportunity to learn something new – be it learning a new skill or getting to know a new culture or just learning something new about our Things. Once I changed my expectations, our holidays changed. Ok maybe not all of them. I think the disastrous experience in Muscat would have been pretty bad regardless of my attitude and expectations. But I stopped expecting everything to be perfect. And I started looking at these trips through the Things eyes. They are so adaptable and they see the fun in everything. Everything is fun – even the tube! Especially the tube!!! A day by the pool isn’t just downtime for us all, its genuinely what they want to do (I know this because I asked them last night). A holiday with our friends or family isn’t boring because we aren’t out and about doing things every day. Hands up who loves holidays with friends?! It is creating bonds and memories that will last…well, a lifetime. It took me a moment to realise the kids are the things! Hahaha this made me laugh. I wholeheartedly agree, that kids are things and that almost every trip qualifies as once in a lifetime! It’s just some will be remembered more (fondly) than others! It is hard work but totally worth it! These are all such amazing moments – no wonder it was hard! We have been so lucky!